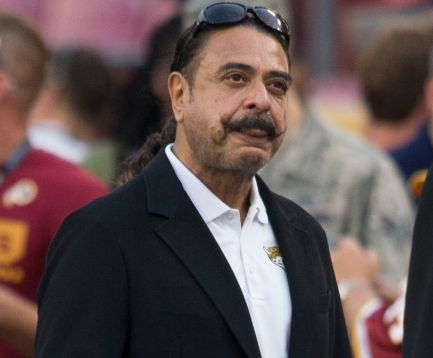 Shahid Khan’s moves to purchase Wembley Stadium have set off significant rumors about his plans, but the Jaguars owner insists that those plans do not include any sort of intention to move the Jaguars to London. Of all the evidence supporting this claim is probably Khan’s continued interest in the real estate surrounding TIAA Bank Field and the old shipyards on the St. John’s River. Although no plans have been finalized, Jacksonville city hall and the politicians who inhabit it seem glad to go along with his ideas to develop the land in a way that favors the economic impact of the Jaguars in Jacksonville. In other words, while Wembley is nice to have and may work out well with the occasional London game, it’s hardly the only property that Khan is looking to acquire. With a net worth of near $8 billion dollars, he’s not exactly limited in one or the other. Besides, when you’ve got a 95 meter super yacht, the distance between Jacksonville and London is just a day or two of relaxation at sea. On the other hand, bringing the whole team back and forth would quickly turn to a logistics nightmare. Most NFL players are U.S. citizens and did expect to live and work in the U.S. when they picked football as a career. Centering a team out of London could dramatically hurt morale as well as increase team travel costs, and there’s just no need to travel when it’s possible to build a winning team right here in Jacksonville. And the Jaguar’s constant wins have more people seriously asking the question: are the Jaguars headed to the Superbowl this year? With a 3-1 start to the season, things look good heading in to Kansas City to face the Chiefs, tomorrow. With the notable exception of a low-scoring defeat against division rivals in Tennessee, the Jaguars season has been impeccable and features decisive wins against significant teams with unique strengths. Even with a growing list of injuries, the team has remained solid and shows no particular weaknesses. We’re looking forward to the game tomorrow – and we’re not too worried about the Jaguars moving to Wembley any time soon!